The house on the vineyard was built in the Arcachonnaise style (a type of Victorian architecture). Château Du Parc is a beautiful fully functioning home consisting of 4 bedrooms, a kitchen, and a pool overlooking the vineyards and spectacular views of the Saint-Émilion appellation. The rolling hills of the countryside and climate make for a relaxing getaway for all. Besides tranquility, guests can enjoy the finest selection of wines from this region, including Château Du Parc. The Saint-Émilion appellation is one of the oldest wine producing regions in all of Bordeaux and is known for its beautiful, picturesque wine villages, a must see when visiting the Bordeaux region. Saint-Émilion appellation is situated on the right bank of the Dordogne river and is a UNESCO World Heritage Site. This area has a rich wine history dating as far back as the ancient Romans. Historians believe that this area is the oldest active wine-producing appellation in the Bordeaux region and was the first region in Bordeaux to export their wine. One of the most noteworthy features of the region is that there is a wide range of terroirs throughout the appellation. Limestone, gravel, sand, clay, and iron deposits are abundant throughout. Even from vineyard to vineyard, the terroir can be completely different making the wines taste and texture vary greatly. Merlot and Cabernet Franc are the two most important grapes used to produce wine in Saint-Émilion. This area is now one of the largest producing regions in Bordeaux with 5,565 hectares (13,750 acres) dedicated to vines and with 800 producers. 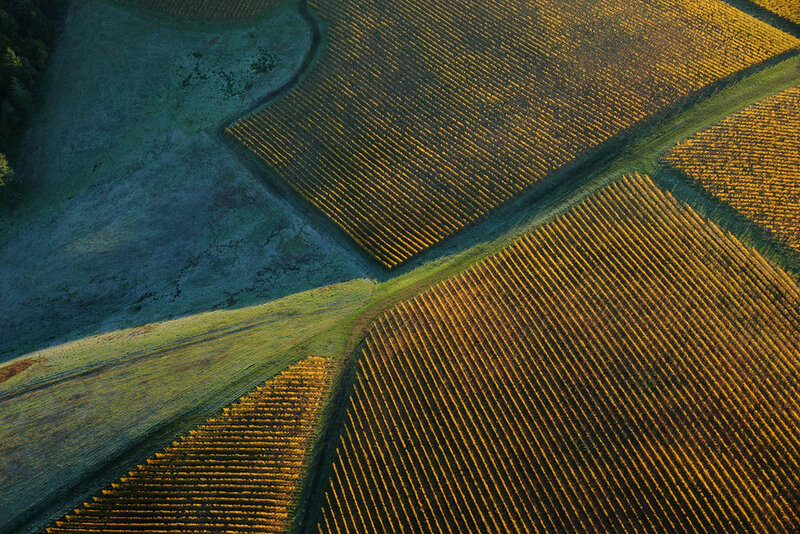 These vineyards are divided into two classifications of non-classified or Grand Cru terroir. Due to the amount of land allocated to vineyards, Saint-Émilion produces almost 4% of the red wine made in Bordeaux each year. Although the region produces a high volume of wine, this area produces some of the highest quality wine in the country.